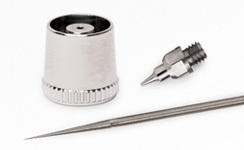 Modify any Genesis.XGi and XSi airbrush to a 0.2mm, 0.3mm, 0.5mm or 0.7mm nozzle size. Each kit includes all the necessary parts for the conversion. 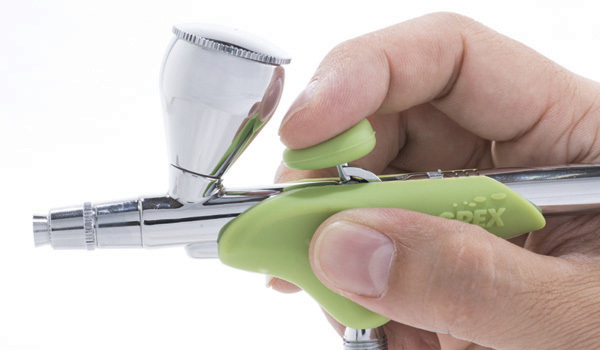 Many airbrushers have come to rely on the ergonomics of our popular pistol style trigger airbrushes. But we’ve recognized that some still prefer the control from a traditional dual action airbrush. So we set out to design and create a solution. Our inspiration came from the simple pen grip. 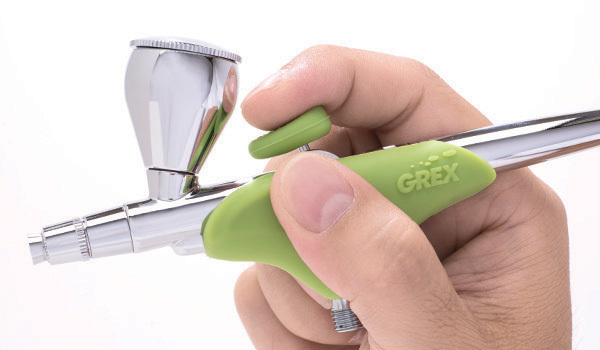 After many iterations we now introduce the Grex Ergonomic Airbrush Grip Set (Patent Pending). 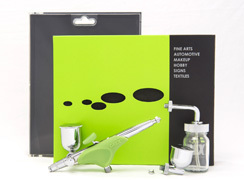 A two piece system that easily slips on the airbrush main body and trigger. Made of a silicon-based polymer thats impervious to most solvents, its soft enough to relieve your finger and hand pressure points, yet firm enough to provide structure for increased holding area. A simple, elegant and effective solution. 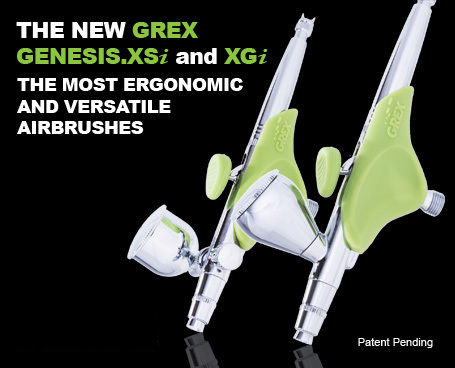 Like our Tritium airbrushes, these are also available in two forms - Genesis.XGi, a top gravity version and Genesis.XSi, a side feed version. Each version is available in three different models with either a 0.2mmm, 0.3mm, or 0.5mm nozzle size. Ergonomics is not the only design philosophy carried on from the Tritium series. We also brought over the versatility of those airbrushes. 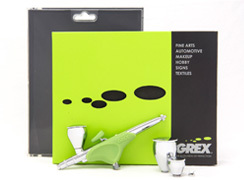 These airbrushes are designed to specifically use many of the same parts. 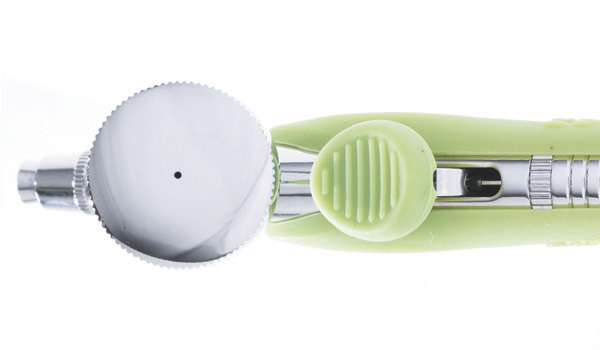 You'll first recognize the same cups and reservoirs; the same magnetic quick fit needle caps; and the same needles, nozzle and nozzle caps, which means that all the same nozzle conversion kits from 0.2mm up to 0.7mm can be used here as well. 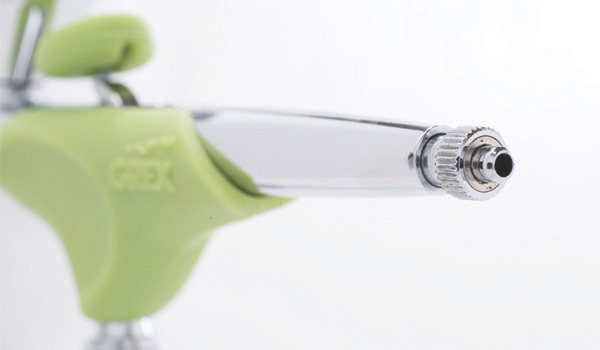 Learn more about the nozzle conversion kits by clicking here. And remember, we even expanded the versatility of our products by making it adaptable to other manufacturers bottles and cups with the use of the AD31 and AD32 adapters. Other than feed type, features of the Genesis.XGi and Genesis.XSi are the same. Which one to choose is really a matter of preference. See the advantages of each versions' feed type by clicking here. Balanced Handling and Efficient Paint Use makes the Top Gravity Feed version the preferred choice for those working in great detail with small amounts of paint. 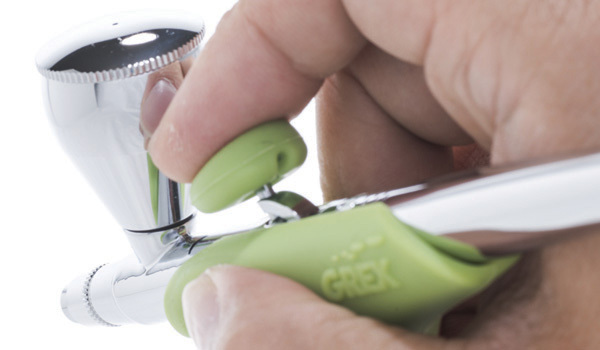 Your media of choice is fed directly into the airbrush through the top cup, making it possible to use even a single drop of paint. Less paint also means less cleaning. 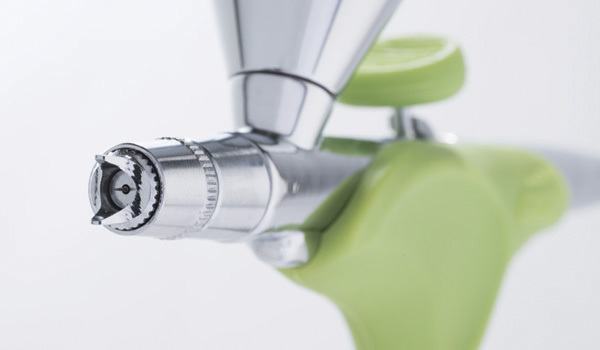 Unrivaled Versatility makes the Side Feed version the most popular choice for those that want their airbrush to adapt to any scenario and application. Choose from an assortment of screw-in gravity cups and siphon bottles and even reservoir types from other airbrush companies. Adapters Accept Your Reservoirs Use the AD31 to attach Iwata and Testors plug-in reservoirs. Or the AD32 to plug-in all traditional bottom siphon feed bottles and fast blast caps.